UPDATED HOME with 2,323 Sq. Ft. / 3,068 total per tax record. IN THE BEST LOCATION OF DR PHILLIPS. GREAT ELEVATION, corner lot- more land! LARGE BONUS ROOM/LANAI AND STUDY UPSTAIRS. ALL 3 BEDROOMS DOWNSTAIRS. Large master bedroom (16x14) with his & hers closet. NEW CARPET in master. LARGE LIVING ROOM WITH VAULTED CEILING. LAMINATED WOOD IN FAMILY ROOM AND DINING ROOM. CERAMIC TILE IN KITCHEN AND BATHROOMS. UPDATED KITCHEN APPLIANCES - STAINLESS STEEL WITH BLACK TRIM, UPDATED CUSTOM CABINETS, BLINDS THROUGHOUT. Eating space in kitchen, NEWER GARAGE DOOR, newly painted garage floor, tile roof, covered porch. PRIVACY WALL IN COURT YARD, PAINTED, ALL DONE WITHIN 3-4 YEARS. PAID $6,000 FOR NEW SEPTIC SYSTEM. HOA includes the maintaining of your grass in the front and side of your yard, tree trimming, fertilizing, pruning, and watering. Community includes lake access, picnic area with boat dock and tennis court. (The grass in the back yard will be replaced) Walk to coffee shops, restaurants, book store, library, Trader Joes and shopping areas. 5-10 min. to Malls, Universal Studios, and Sea World. 20 min. to International Airport and Disney. GREAT FOR INVESTMENT AND A NICE FAMILY STARTER HOME. 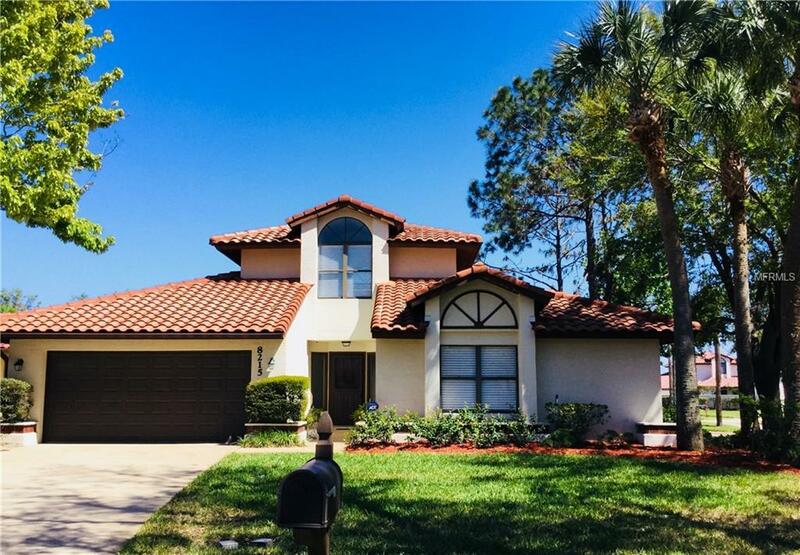 ENJOY THIS BEAUTIFUL SINGLE FAMILY HOME IN THE MIDDLE OF DR. PHILLIPS!